For the film, motion capture and live action were blended. The film features an impressive roster of stars under the direction of Andy Serkis. The actors performing the roles of the story’s central animal characters are: Christian Bale as the cunning panther, Bagheera; Cate Blanchett as the sinister snake, Kaa; Benedict Cumberbatch as the fearsome tiger, Shere Khan; Naomie Harris as Nisha, the female wolf, who adopts the baby Mowgli as one of her cubs; Andy Serkis as the wise bear, Baloo; Peter Mullan as the leader of the wolf pack, Akela; Jack Reynor as Mowgli’s Brother Wolf; Eddie Marsan as Nisha’s mate, Vihaan; and Tom Hollander as the scavenging hyena, Tabaqui. On the human side, Matthew Rhys is Lockwood; Freida Pinto is Messua; and young actor Rohan Chand will play Mowgli, the boy raised by wolves. 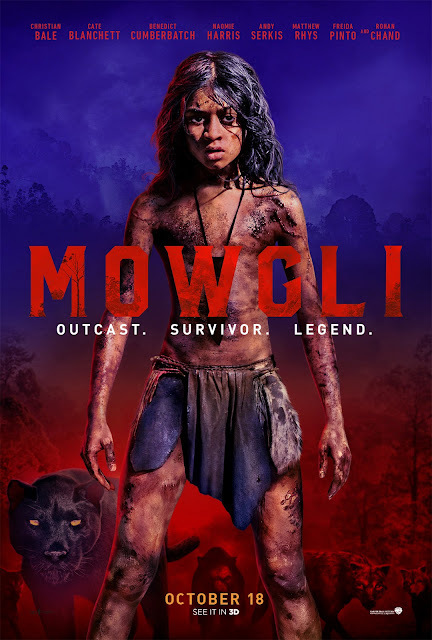 “Mowgli” is distributed worldwide by Warner Bros. Pictures, a Warner Bros. Entertainment Company and watch “Mowgli” in Philippine cinemas October 18.